Pavlova is a meringue based dessert, named after the Russian ballet dancer Anna Pavlova. It has a delicious crisp crust and a soft gooey marshmallowy centre. This dessert has been the subject of much controversy between Australia and New Zealand about the nationality of its creator. Both countries claim it as their own national dessert. The only thing they agree on is that they both named the dessert in honour of Anna Pavlova when she toured both countries in the 1920s. Putting controversy aside, the pavlova (affectionately called the “pav”) has been a big part of growing up in Australia. It brings back great memories of my childhood having family barbeques in the sunshine and playing beach cricket. So to celebrate (or mourn) the end of summer I decided to whip up this very simple dessert. 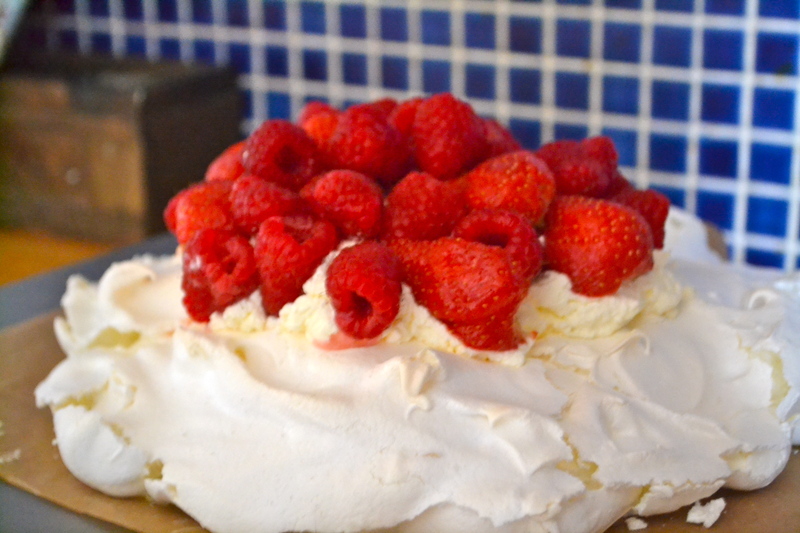 It may look more like an Eton Mess but this pavlova recipe is really simple to make and most importantly very tasty! Pre heat oven to 140C. 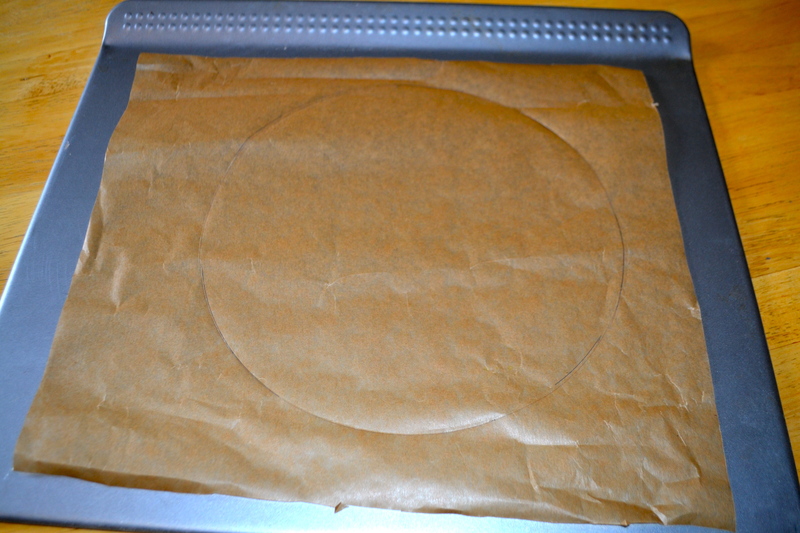 Draw a 23cm circle on baking paper and place this on top of a baking tray. 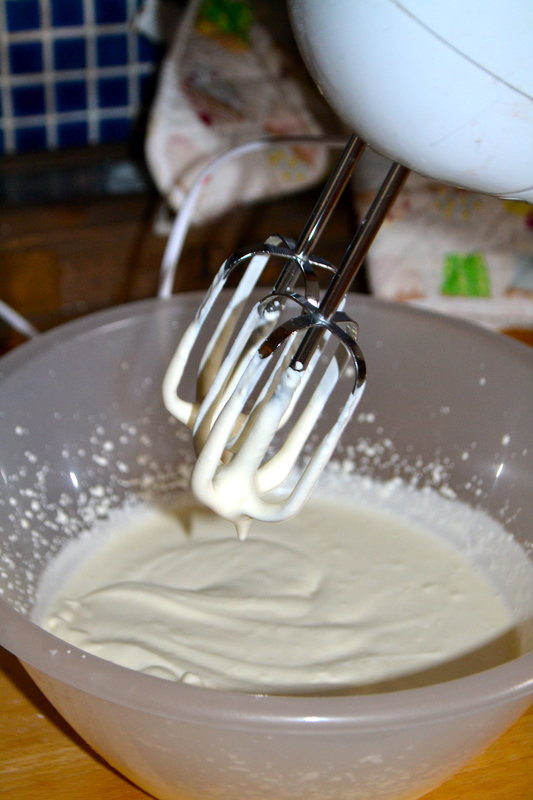 Separate egg whites ensuring no part of the egg yolk gets into the whites, this may compromise the meringue mixture. 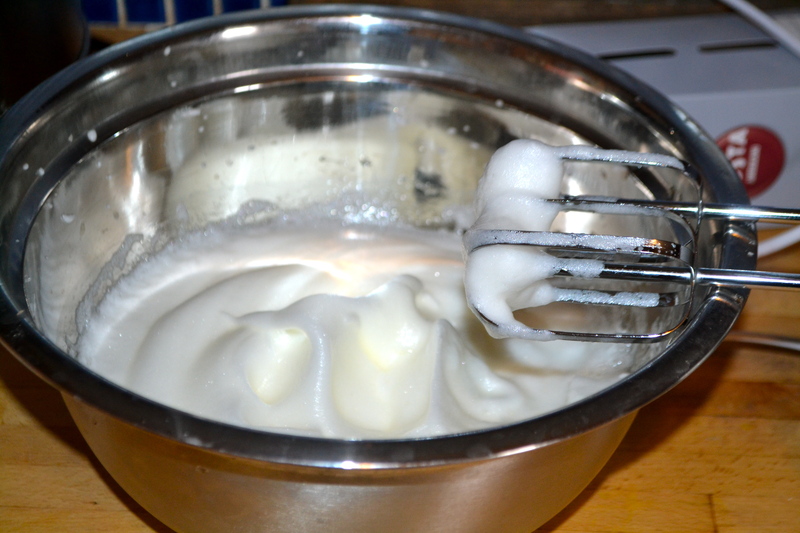 Beat the egg whites until soft peaks form. This works best when the egg white is at room temperature. 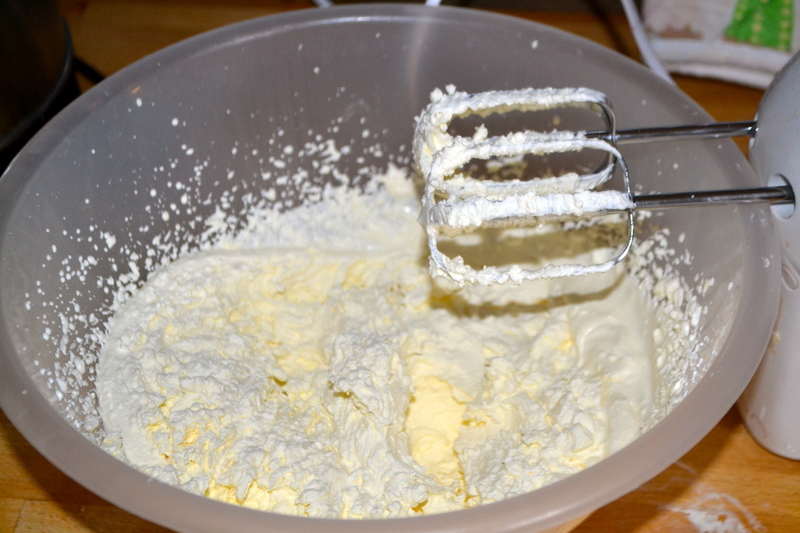 Gradually mix the sugar into the egg white mixture, one tablespoon at a time. Mix well between each addition to ensure the mixture is not grainy. 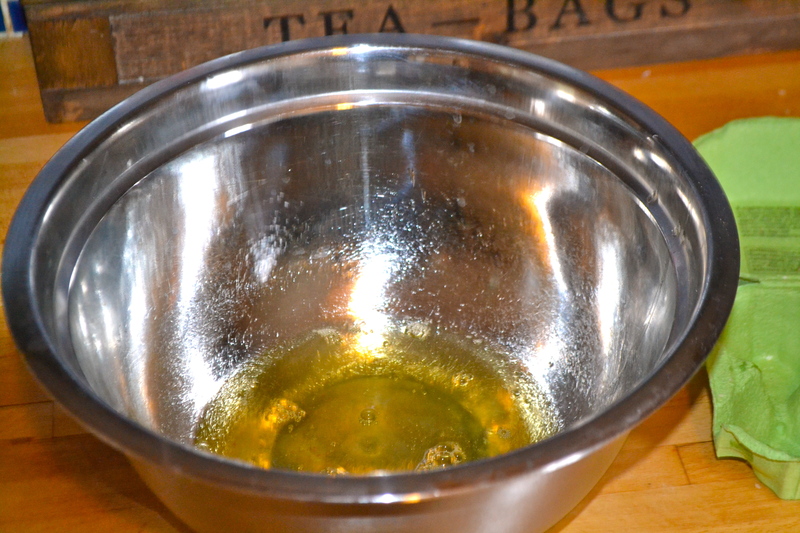 Beat the mixture until stiff peak forms and the mixture looks thick and glossy. You will know the mixture is ready when you put some on a tablespoon and it doesn’t fall off when turned upside down. Be careful not to over mix since this will cause the meringue to collapse when folded in with other ingredients. Gently fold in the other ingredients – corn flour, white wine vinegar, vanilla essence and lemon. Spoon the mixture into the circle on the baking paper. Carefully spread the mixture to the outside edge, building the mixture higher on the edges so it looks like a crater. I prefer the messy rustic look so I don’t smooth the edges. Create a slight ripple pattern using a small skewer. Bake for approximately one hour. 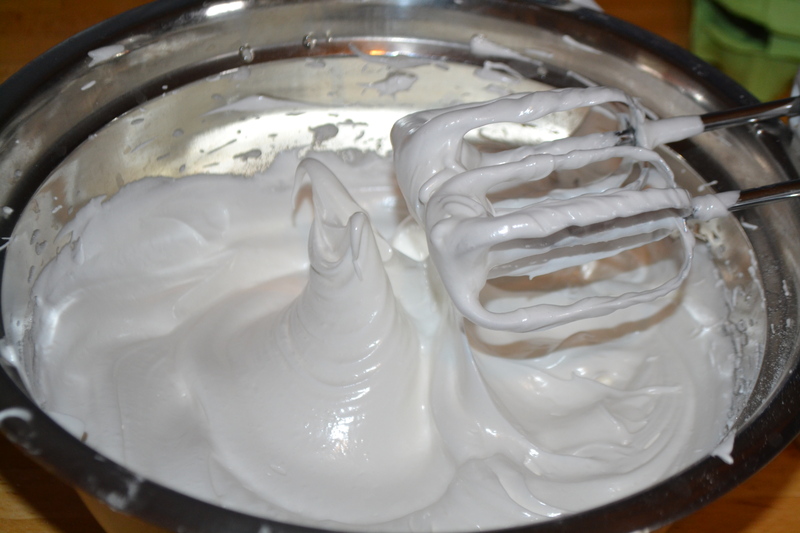 The meringue will be ready when it is firm on the outside and feels slightly hollow when you tap it. Turn off the oven and leave in the oven for at least another hour. This allows the meringue to dry out properly. 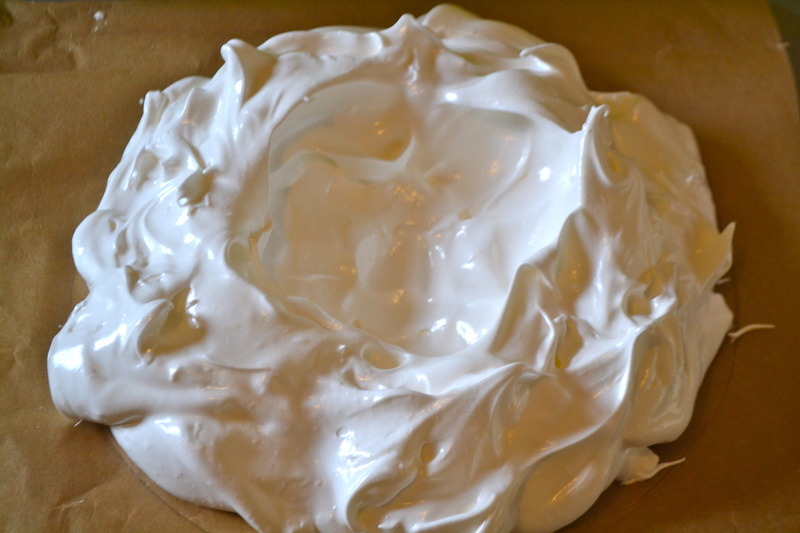 When the meringue has completely cooled, whip the cream in a large mixing bowl until thick and stiff. 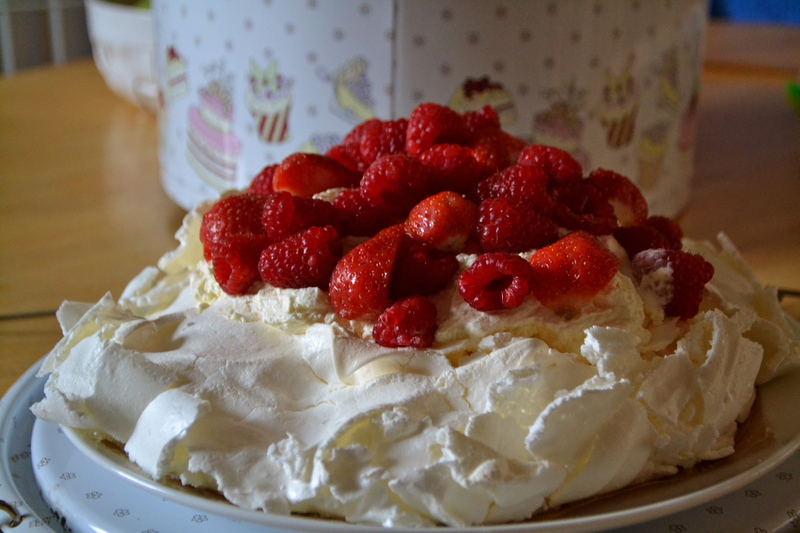 Fill the centre of the meringue with cream and top with hulled strawberries and raspberries. And voila the finished product! It won’t win any beauty contests but it is damn tasty! I was a little hasty (and hungry) which caused the meringue to crack a little around the edges so try to cool in the oven as long as possible. Reminds me of Mums pavs…they are the best desert. My favourite! Did the the base stay in one piece? A while ago I made a hopeless attempt at “meringue swans”- put me off Delia for life. Just! But I took it out of the oven too quickly since I was in a rush – I think you need to leave it in for at least an hour so it cools and dries out. Meringue swans sound amazing!!! !